Congestive heart failure makes it difficult for the heart to pump blood, fluid, and oxygen through the rest of the body. As a result of the weakened state of the heart and the strain on the circulatory system, fluid may accumulate in the extremities, lungs, and abdomen. Following through on daily home care, changing lifestyle habits, and attending regular medical check-ups can help seniors to avoid complications resulting from congestive heart failure. Professional caregivers can help to ease the pressure on seniors and their family members by providing assistance with in-home congestive heart failure management. Professional caregivers can help seniors and their family members to understand what congestive heart failure is and how a client’s habits can be altered to achieve the highest quality of life possible. Caregivers can answer questions about the condition and can help clients to establish a healthier daily routine that may mitigate symptoms and circumvent complications. Understanding what the condition is and what daily management entails can take away some of the fear and anxiety that often accompanies the initial diagnosis. Doctors may recommend dietary restrictions and a limit on daily fluid consumption to help seniors avoid fluid retention in the body and to decrease the strain on the heart. Home caregivers can work with seniors to develop a meal plan and routine that is comfortable but follows the guidelines established by the treating physicians. Doctors often recommend limiting salt, avoiding foods that are high in cholesterol and fat, and exercising daily. 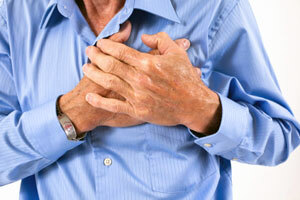 Obtaining adequate rest and reducing stress can also help to minimize strain on the heart. After a congestive heart failure diagnosis, physicians recommend monitoring certain signs so that it is easier to identify changes that may indicate complications. Weight should be taken and tracked at the same time each day and blood pressure should be monitored regularly. It may also be helpful to monitor urine output, as urination difficulties may cause fluid retention in those with congestive heart failure. Dramatic variations should be reported to a doctor so that action can be taken to determine the cause of the changes. Home caregivers can help seniors with medication reminders and oxygen treatments as needed. Caregivers are a source of support and supervision and can help seniors manage the condition step by step, including seeking medical assistance if necessary. Caregivers are also able to provide regular transportation to medical appointments so that seniors can work with health professionals to manage congestive heart failure as well as possible. With proper management, seniors with congestive heart failure can continue to live happy, productive lives.